Ta Da! Post 200! That is about all I have planned to celebrate. The wonderful thing is the posts will be moving past 200 very fast. It is getting late and I am going to keep this a short post. 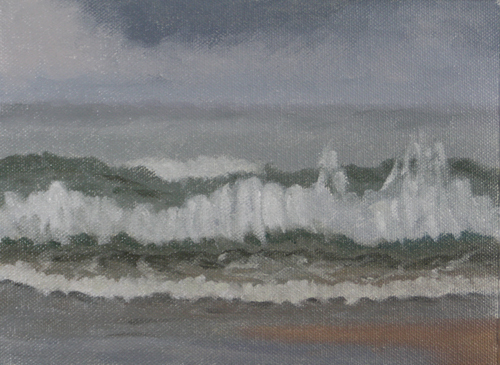 Here is my painting for Day 28, Wave Study #32. As you can tell by the painting, today was a rather gray and wet day. It is always a challenge to photograph these at night after literally putting the paintbrush down for the last time. This was painted from a sketch done from the inside of my truck today. Not the best photo I am afraid. I am very much looking forward to the end of this challenge. I am ready to move on to my next stage. 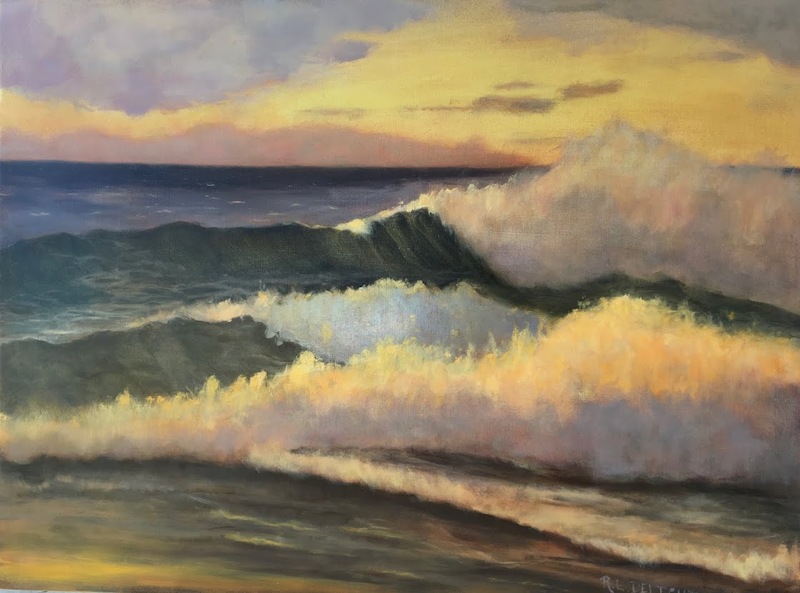 Not to worry, the wave studies will continue as I have my goal of 100 to reach and still so much to learn. I am thinking after I reach 100 I might just do another 100. I am looking forward to having time to hike up the beach, sit and sketch and study. There are elements I haven't got yet and are still a struggle. I plan to give a grand wrap up on what I learned and how I plan to move forward on day 30. Not long to wait!